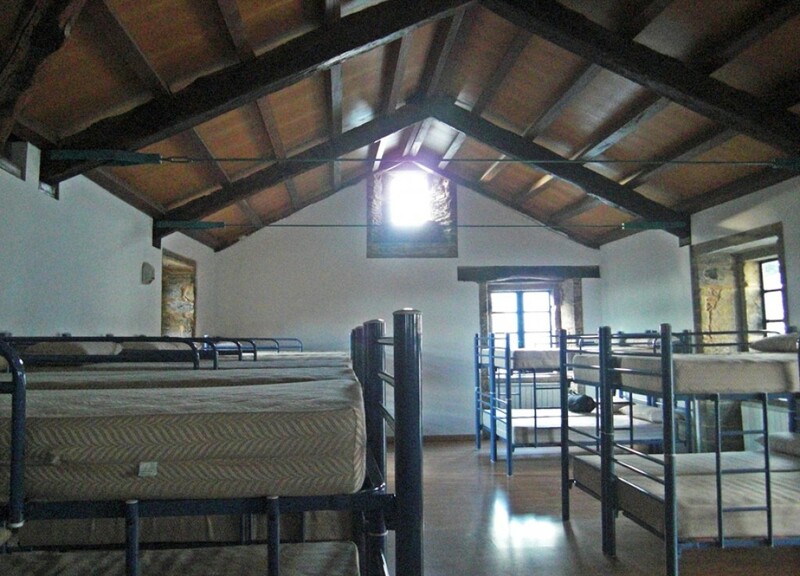 The Arzúa hostel is located at the end of the 29th stage of the French Road, 39 km from Santiago. 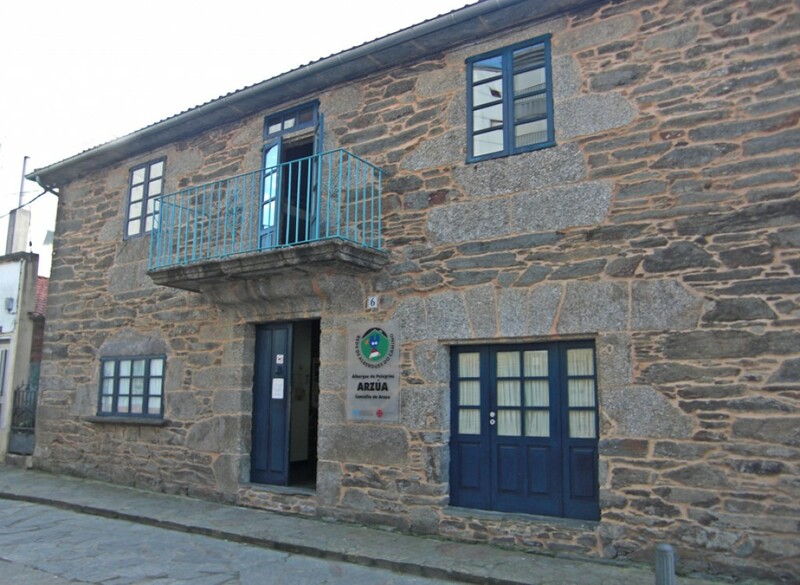 It is located in the town centre, only a few metres from the main Santiago-Lugo road (N-547), and very close to the Town Hall. About 200 m before the hostel, the North and French Roads join together. It has 50 beds divided between two rooms; 4 beds for persons with reduced mobility, 34 bunk beds and 12 beds (in summer, mattresses are used in the lounge). It is open all year with an admission time from 1 to 10 pm; guests must leave the hostel before 8 am. Pilgrims have to present their official pass (no bookings allowed) and it costs € 6. It has a washing area, drying place, washing machine (€ 4.40), dryer (€ 1), first-aid kit (the health centre is next door), an outdoor area for bikes (they are kept inside at night), mobile phone signal and plugs for charging batteries. It has all the main services: ATMs, supermarkets, shops, bakeries, butcher’s, bars and restaurants, tourist and pilgrim information offices, health centre and pharmacy. Close to the hostel are the ruins of the former convent of A Magdalena (14th c.), which used to house poor pilgrims. The parish church of Santiago, with two images of the Apostle (one as a Pilgrim and the other as a Moor-slayer), is very close by.